The CCM Tacks Vector Pro skates are a Source for Sports exclusive model based on the Tacks 6092 skates with upgrades from the Ultra Tacks and Super Tacks skates. The Tacks Vector Pro skates feature enhanced elite level performance and durability as well as a unique graphic at no extra cost. The Tacks Vector Pro skates offer a power form metallic texturized composite quarter package and a composite reinforced ATTACKFRAME core. The ATTACKFRAME core offers a lightweight and rigid base for maximum performance that is thermo-formable for a better fit on the foot. This core works hand in hand with the high end, layer-formed boot frame with strategic reinforcements along with elite level support and an energy transfer design. The tendon guard of the Tacks Vector Pro skates has also been upgraded to an injected one-piece guard for better stability and durability. The tongue on the CCM Tacks Vector Pro is taken from the elite Ultra Tacks skate and uses Tritech felt, a three-layered 7mm white felt with HDPE foam, for incredible comfort. An injected lace bite protection pad faces the front of the tongue to further enhance comfort and protection. Further down the boot, a SpeedBlade holder provides 4mm of extra height from the ice to allow for up to 10% greater turning radius for a more aggressive angle of attack and the upgraded SpeedBlade Black steel provides a carbon oxide coating to cut the ice with less friction and provide a longer lasting sharpening as well as advanced performance. 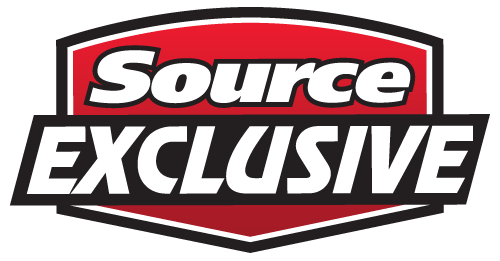 Source Exclusive upgrades include a power form black composite boot with black wedge, a tritech pro felt tongue with injected HDPE foam lace bite protection, a wear patches on the liner, a brass top eyelet, and SpeedBlade Black oxide steel runners.